Actor and dialect coach Robert Easton, known as the “Henry Higgins of Hollywood,” died of “natural causes” on Friday, Dec. 16, in the Los Angeles suburb of Toluca Lake. Easton was 81. Even if he never coached My Fair Lady/Pygmalion's Audrey Hepburn, Julie Andrews, or Wendy Hiller, according to the Los Angeles Times obituary Easton's dialect students included Anne Hathaway, Liam Neeson, John Travolta, Patrick Swayze, Ben Kingsley, Charlton Heston, Arnold Schwarzenegger (who learned to talk with a Russian accent, as per the Times), and Forest Whitaker, who learned to talk like Idi Amin Dada for his Oscar-winning role in The Last King of Scotland. When not coaching, Easton taught at UCLA and USC. Additionally, he had small supporting roles in movies such as Joshua Logan's Paint Your Wagon (1969), starring Clint Eastwood, Lee Marvin, and Jean Seberg; Mike Nichols' Working Girl (1988), with Melanie Griffith, Sigourney Weaver, and Harrison Ford; and Nichols' Primary Colors (1998), with Travolta and Emma Thompson. Easton also played a Klingon judge in Nicholas Meyer's Star Trek VI: The Undiscovered Country (1991). 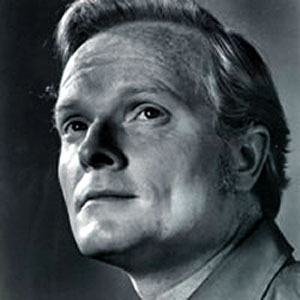 In a curious note about the workings of the American justice system, as mentioned in the Times obit Easton also coached “non-celebrities, such as the New York lawyer who was losing cases in California because juries, hearing his nasal, rapid speech, judged him slick and impatient.” According to Easton, the lawyer started winning cases after he helped him change his speech patterns.